One of the most visited cities in the world is Singapore. It is an island situated in the South of Peninsula Malaysia. It is actually the smallest nation in Southeast Asia but its tourism is very productive with more than 9 million tourists in a year. It is on its way to becoming a tropical tourist hub that incorporates the best of London, Paris, and New York all in one. We can say that Singapore is now a very successful city. In this post, we will take you to the best places to visit in Singapore. Feast your eyes with the must-see spots in the country. This island is located in the southern part of Singapore mainland. This idyllic island resort is one of the best places for everyone’s enjoyment and recreation. 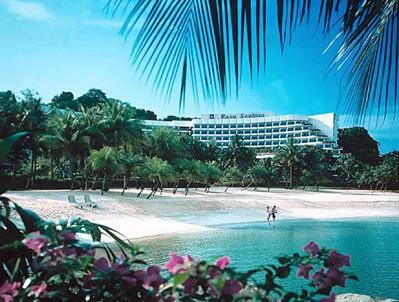 You can find here the beautiful beaches in Singapore where you can take delight in exciting games and water sports. It is one of the romantic places in the country. The Merlion is half mermaid, half lion figure that has become the renowned symbol of Singapore over the years. You can see it at Sentosa or at the Merloin Park. This is so magnificent at night because of the spectacular light, water, and sound show. Visitors should not miss this show. This is one of the famous places in Singapore. If you are interested in the largest ethnic group in the country, then this place is for you. Experience the fun of shopping for traditional Chinese stuff and try the local food. Do not miss the cultural fare. You will see here ornate temples, fine restaurants, and manic markets where you can have sari fabrics, silk products, furniture, Punjabi tops and pants, and others. This is a place for those who want to experience the nightlife of Singapore. It’s also a perfect place for shopping. If you are into flowers and green life then this place is for you. You can have a picnic with your family. This is one of the best places to see when you visit this country. You will get the chance to see the mythological and legends of the Chinese culture. You will also see cultural shows like dragon dances. It is one of the most visited places in Asia because of the Night Safari especially when you travel with your kids. It is filled with many exotic animals that people will really enjoy. Experience the fun of shopping in Singapore at the great malls of Orchard Road. You should include it on the list of things to do when you travel there. With these attractions I am pretty sure that you will enjoy your tour in this clean city. Have fun!